My company just wants a slick-looking info dump, how can I convince them we need serious elearning? Show them this short but fun video from our favorite elearning guru, Cathy Moore. 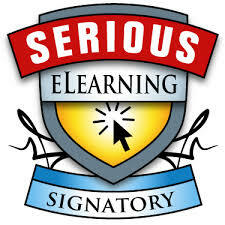 Check out the Serious Elearning Manifesto, a movement created to promote more effective elearning in our industry. How can SmartBuilder help me create serious elearning? SmartBuilder helps you create effective elearning so that learners can practice making decisions in realistic contexts with real world consequences. Check out some of our elearning examples.